The Network SouthEast backdrop has been featured many times in films and on the television. 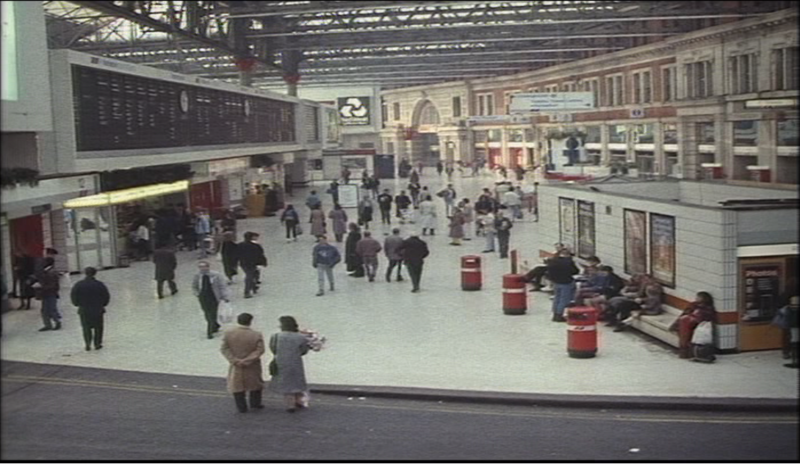 The opening scene of this episode starts at Victoria Station. Views of concourse and Solari destination board are in shot. 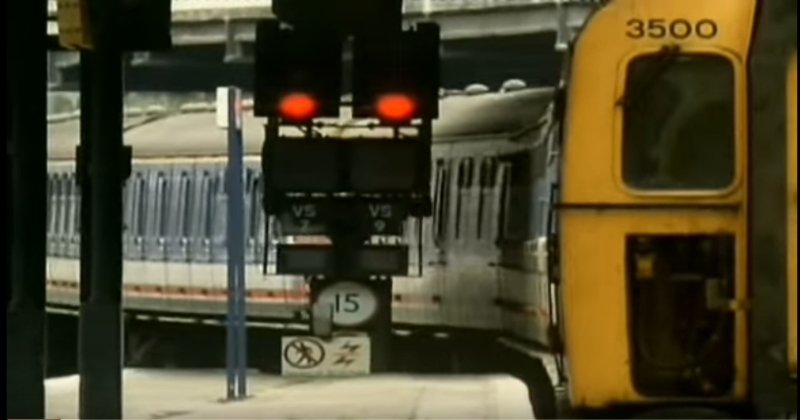 The final scene filmed at this London terminus, sees a Class 423 4VEP - 3500 departing from the eastern side Kent platforms. Images copyright 'BBC'. First shown: 26 December 1993. Del Trotter waiing under the clock at Waterloo Station. Excellent view of concourse and 'Solari' board and NSE branded signage. 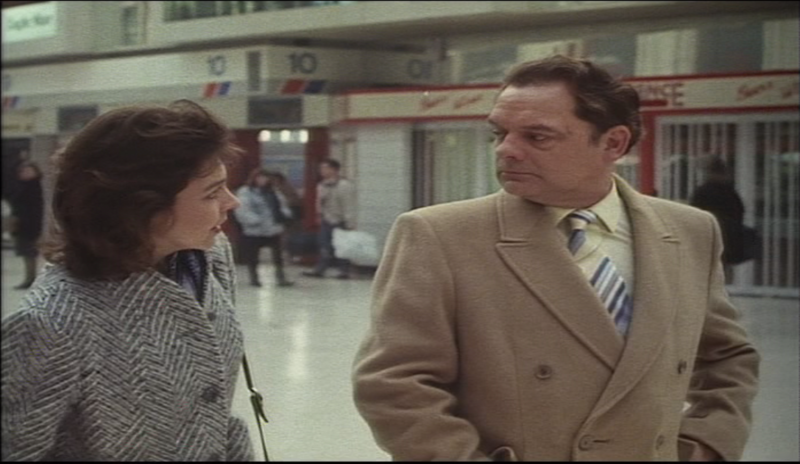 Del meeting Raquel for the first time at Waterloo Station. Platform entrance signage can be seen in the far of the shot. 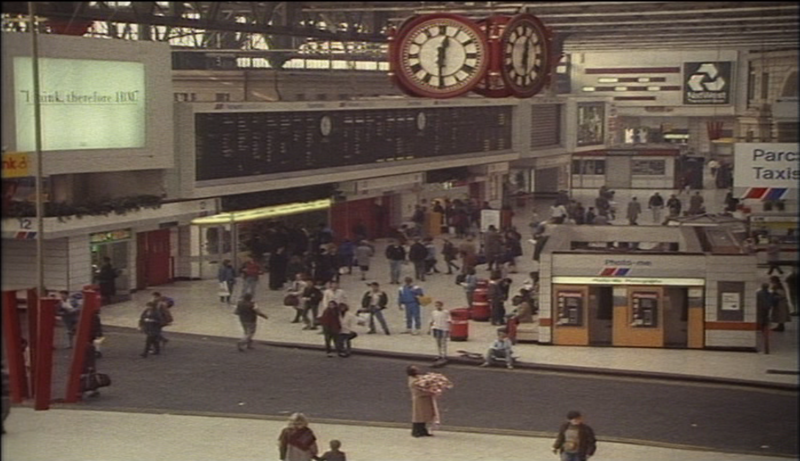 Wider angle shot of Del and Raquel in closing scene at Waterloo Station concourse. The Travel centre is on right. Three 'RED' bins can be seen in centre. Images copyright 'BBC'. First shown: 25 December 1988. 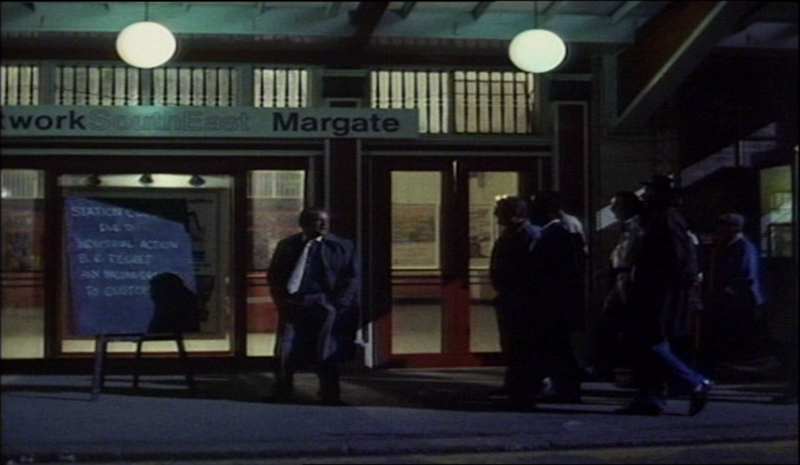 Del Trotter & rest of gang outside Margate Station entrance, stranded after thier coach blew up !! The blackboard informs them about a rail strike and the station is closed. 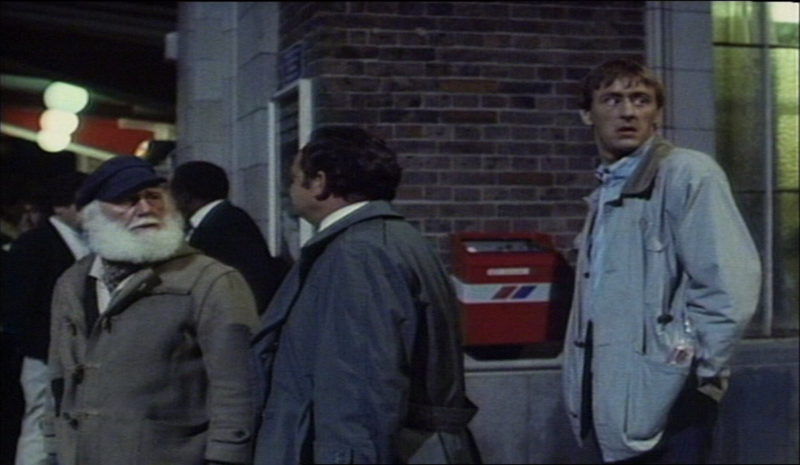 Uncle Albert, Del and Rodney Trotter outside Margate Station with a small red NSE bin in shot. Images copyright 'BBC'. First shown: 25 December 1989. Denham Station stood in for 'Chigwell Station' here. A Class 115 DMU and new Chiltern Line signalling - not yet commissioned in shot. Up platform at Denham Station, showing 'Red' seating, bin and lampost. 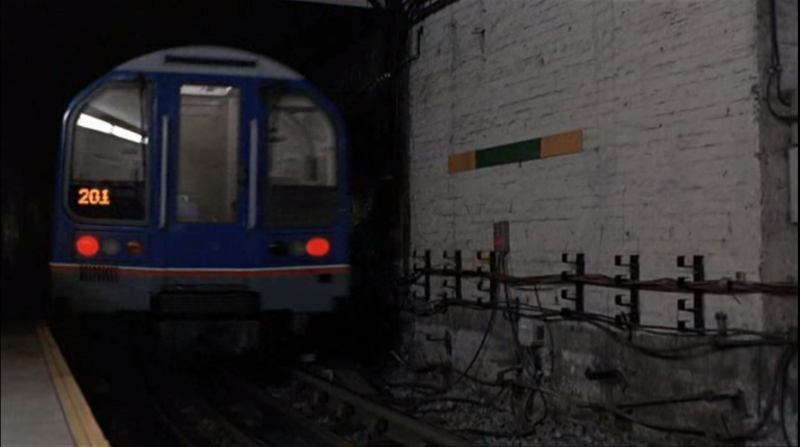 This scene was filmed on up platfom adjacent to the stairs that lead down to the subway below the station. Shot shown is just after a mugging scene. Images copyright 'BBC'. First shown: 18 October 1990. 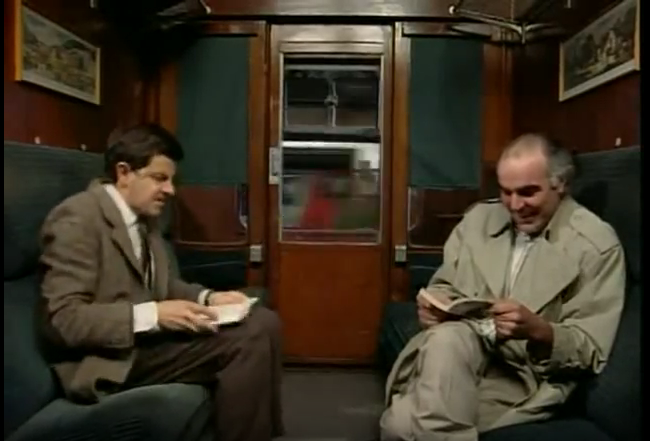 Episode 'Mr Bean Rides Again' - act 4. 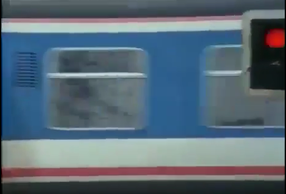 Although it is obvious that the footage in the background is pre recorded material and shown on a screen, it still features NSE stations and stock (all unidentified). An EMU can be seen in the rear of still. Image copyright 'Thames Television'. First shown: 17 February 1992. This comedy programme was centred around a barber's shop in Peckham, South London. 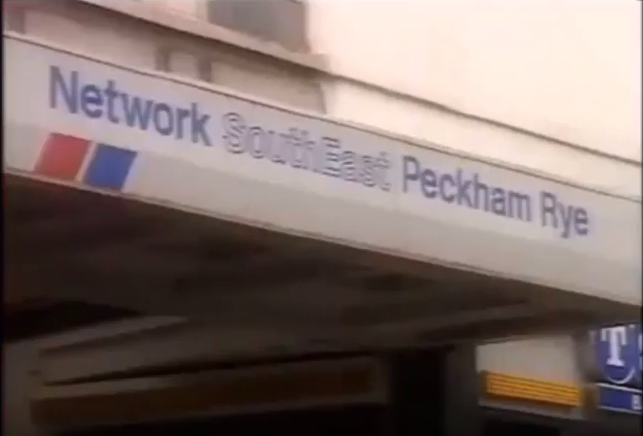 A shot of 'Peckham Rye' Station frontage appears in the opening titles sequence. The series ran from 1989 - 1994 and featured throughout. Image copyright 'Channel 4 Television'. Thank you to Rob Curtis for the information. Passengers alighting on Platform 13 at Waterloo Station. Class 47 at London Waterloo Station. 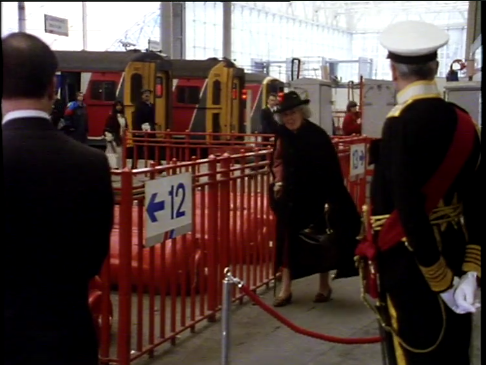 Stephanie Cole at Waterloo Station approaching ticket barrier. Images copyright 'BBC'. First shown: 9 September 1993. Thanks Rob Curtis for the infomation. Series 2 Episode 1 ' The Wolvercote Tongue'. 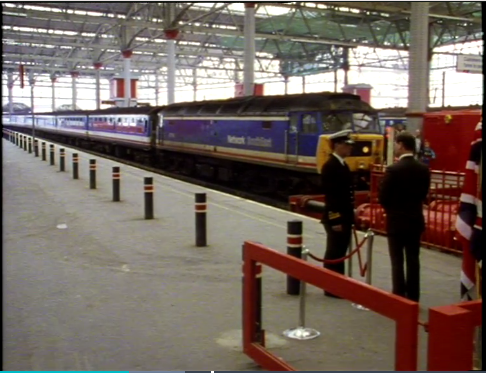 A scene in this classic drama programme is shot at Oxford Station. 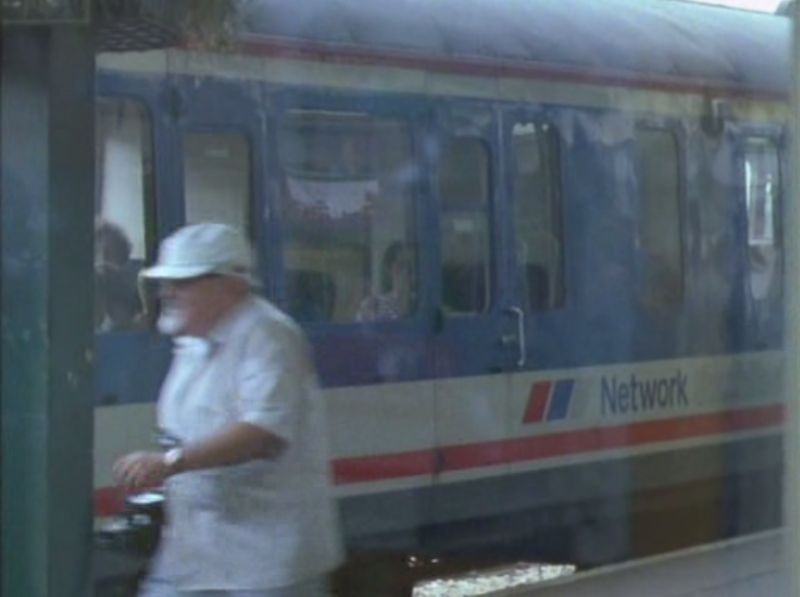 An actor is seen boarding a NSE livered DMU on route to Didcot. Image copyright 'Central Indepedent Television'. First shown: 25 December 1987. Thank you to Rob Curtis for the information. Series 3 Episode 1 ' The Ghost In The Machine'. A Network SouthEast livered DMU can be seen pulling in to Oxford Station, where Morse is seen alighting the unit. Image copyright 'Central Indepedent Television'. First shown: 04 January 1989. Thank you to Rob Curtis for the information. Series 8 Episode 1. In this episode a bus is hijacked and driven into a railway bridge. NSE signage can be seen briefly for 'Borough Bridge' station, although the name is fictitious. The exact location is unknown. Image copyright 'London Weekend Television'. First shown: 3 September 1995. Thank you to Joshua Sammons for the information. 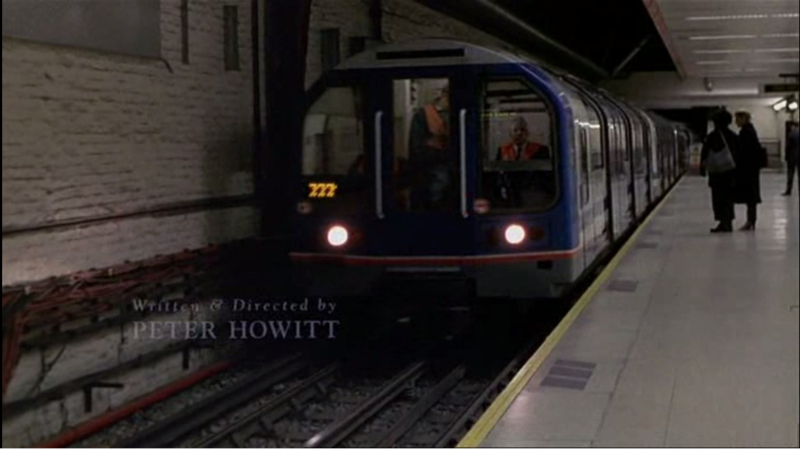 This romantic comedy film released in 1998, has an opening scene filmed on the Waterloo and City LIne. 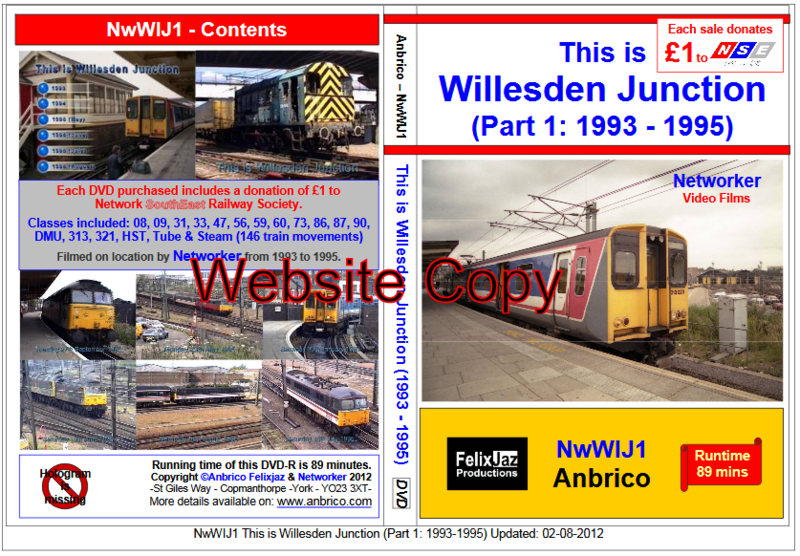 It features 'Class 482'. 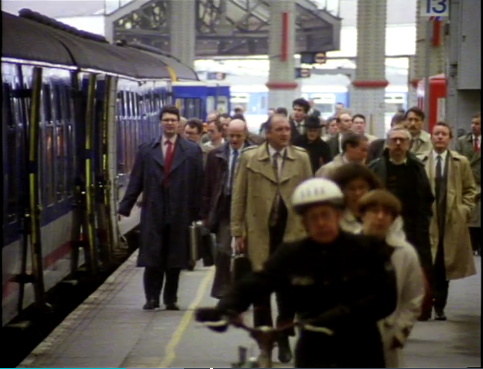 This shot is filmed at Waterloo as the unit is entering the station. Although since April 1994 the line was transfered and operated by 'London Underground', the original NSE livery survived for many years. Also notice the NSE flash on the platform edge which is still there to the present day. 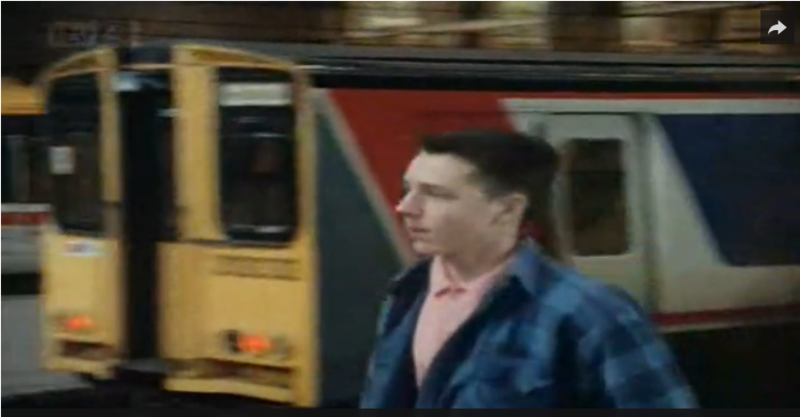 Class 482 heading towards Bank Station in the final station scene filmed at Waterloo. It is more than likely that filming took place on a Sunday - as the line is closed on this day of the week. Thank you to John Piper for the information. Series 8 Episode 6 - The Last Temptation of Daley. Arthur is seen waiting at the level crossing at Acton Central station - a Class 313 in seen. Image copyright 'Euston Films'. First shown: 10 October 1991. 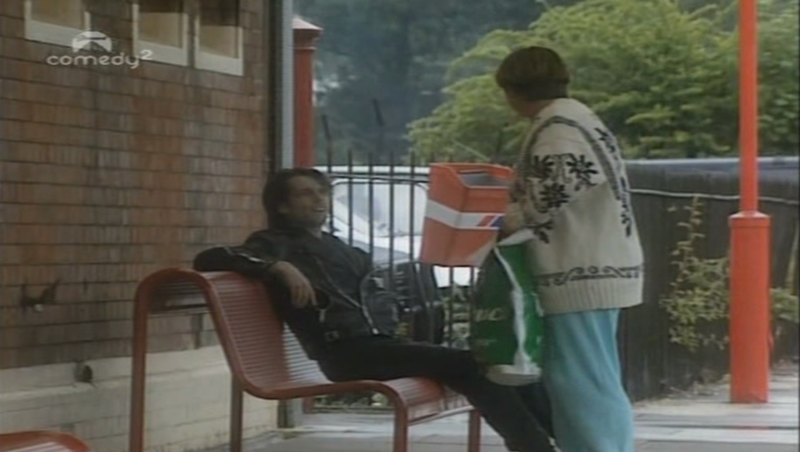 Series 8 Episode 7 - A Bird in the Hand is worth Two in Shepherd’s Bush. Class 313 EMU seen at Kings Cross station. Image copyright 'Euston Films'. First shown: 17 October 1991. Series 8 Episode 10 - Too Many Crooks. 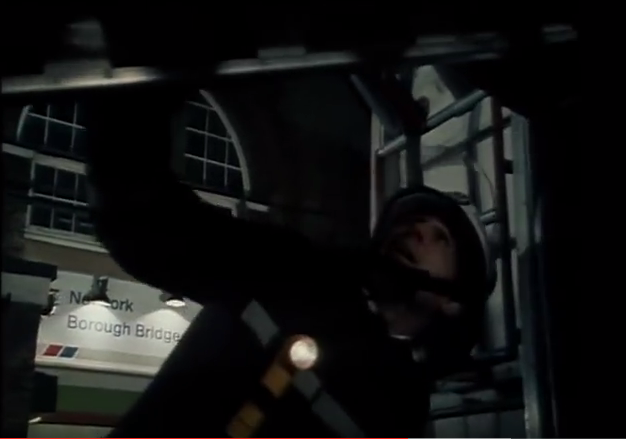 In a scene where one of the characters is captured, Acton Central station is used. Red doors & NSE sign can be seen. Image copyright 'Euston Films'. First shown: 07 November 1991. 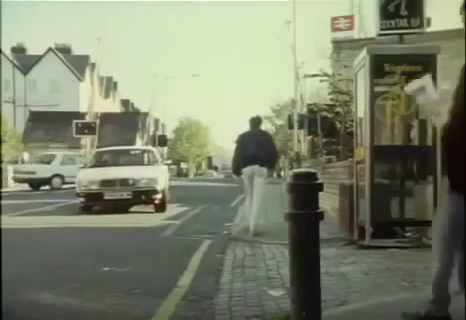 The opening of this music video features a train pulling into Woking station. NSE signage can be seen aswell as red seating benches. Filmed in 1995. Taken from 'Stanley Road' album. 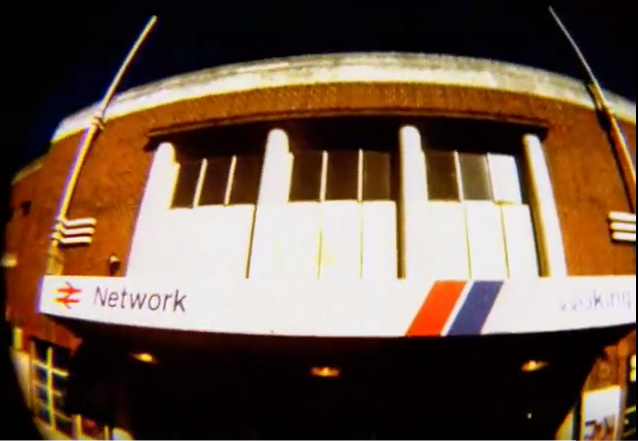 The exterior of Woking station as seen in the video from the opening scene. Paul Weller came from Woking which may be the connection with the filming location. Filmed in 1995. Images copyright 'Paul Weller TV'. Thank you to Robert Clark for the information. Episode - Sea Fever. EMU seen at a level crossing with Richard and Hyacinth Bucket watching on. Image copyright 'BBC'. First shown 26 December 1993. Take a trip down memory lane with these excellent produced DVD's. 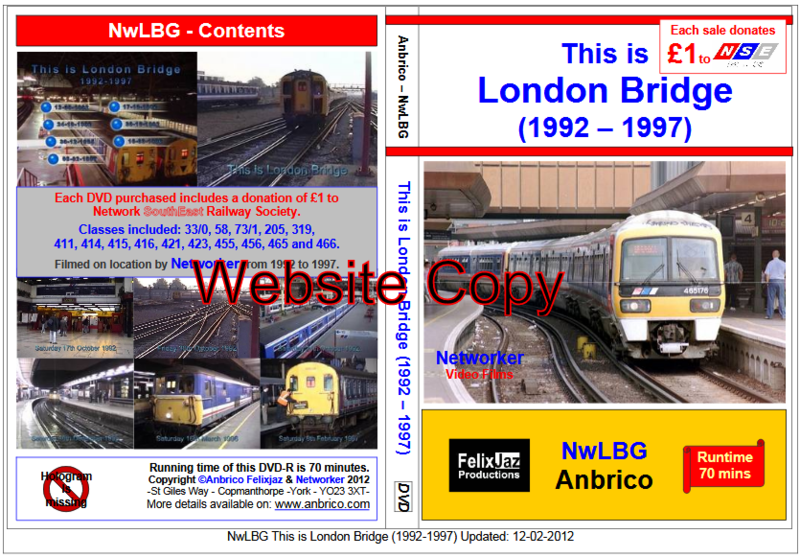 Click the TABS below to view the 'Network SouthEast Stations' range.